"Doc" is a 15 year old Grey French Percheron. Doc, is considered the old man of the group and is without a doubt, the boss on the farm. He takes his work seriously and was the first horse purchased by the Herndon family and was the beginning of our Draft Horses. Doc is the reason it all began. The Percheron is a breed of draft horse that originated in the Huisne River Valley in Western France, part of the former Perche providence from which the breed takes its name. 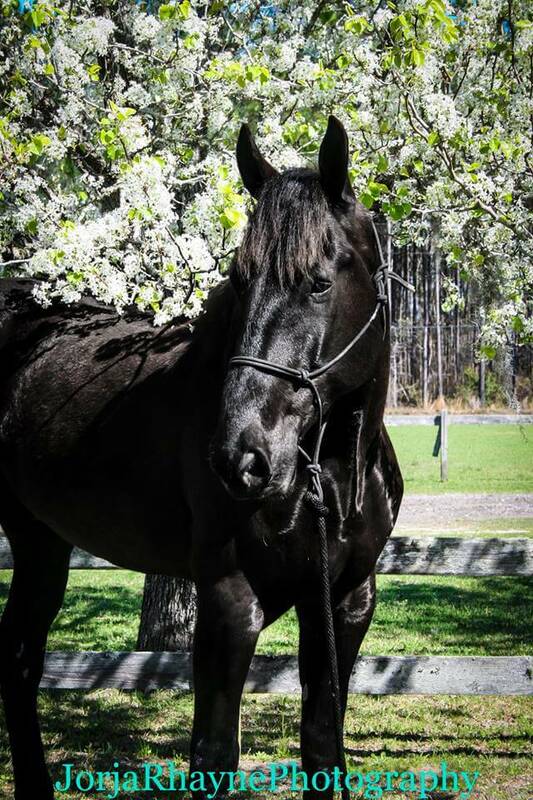 "Lee" is a 5 year old Black French Percheron standing at 19.2 hands tall, he is the tallest of our boys at the barn. All boy at heart, and second in command to "Doc" on the farm, Lee came to us from an Amish farm in Ohio. Second to his immense height is his speed. 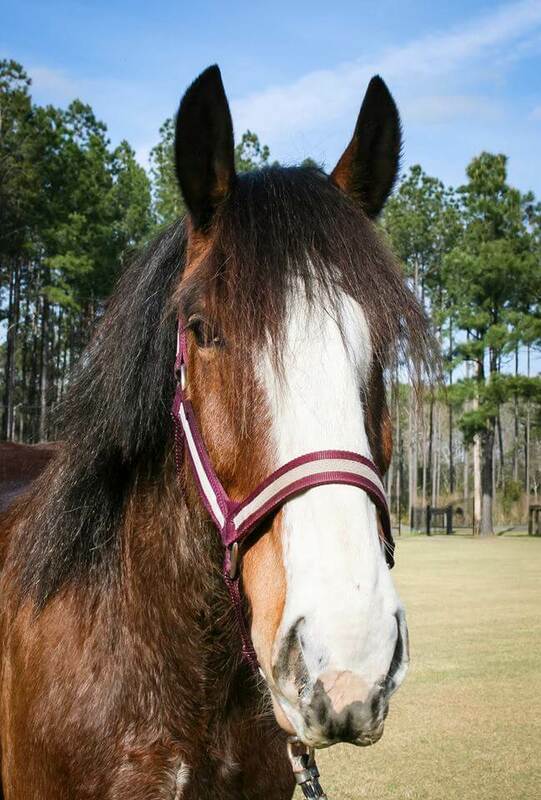 "Clyde" is a 12 year old Bay Roan Clydesdale. He comes to us along with his sister "Bonnie" (pictured below), and are the newest of the horses for our Daft Horse and Carriage Company. Clyde is your typical guy, but relies heavily on his baby sister for his own reassurance and direction. He works single, but prefers to be seen in public with his sister. Together as a team, they make a beautiful show. The Clydesdale is a breed of draught horse named for and derived from the farm horses of Clydesdale, a county in Scotland. Although originally one of the smaller breeds of draught horses, it is now a tall breed. Often bayin color, they show significant white markings due to the presence of sabino genetics. The breed was originally used for agriculture and haulage, and is still used for draught purposes today. The Budweiser Clydesdales are some of the most famous Clydesdales, and other members of the breed are used as drum horses by the British Household Cavalry. They have also been used to create and improve other breeds. 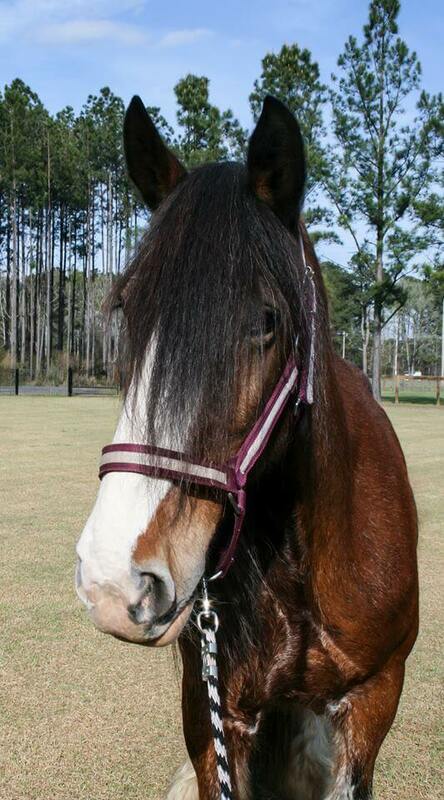 "Bonnie" is a 11 year old Bay Roan Clydesdale. They came to us from a farm located in Ohio, and along with her brother, "Clyde", is the newest of our family. Bonnie is your typical gal and a complete Diva. She believes without any doubt that she is the brains of the outfit. She relies on her brother's confidence, but is the leader of the pack. We are extremely proud of our Clydesdales. They work single or double and are available for most any outdoor venue. 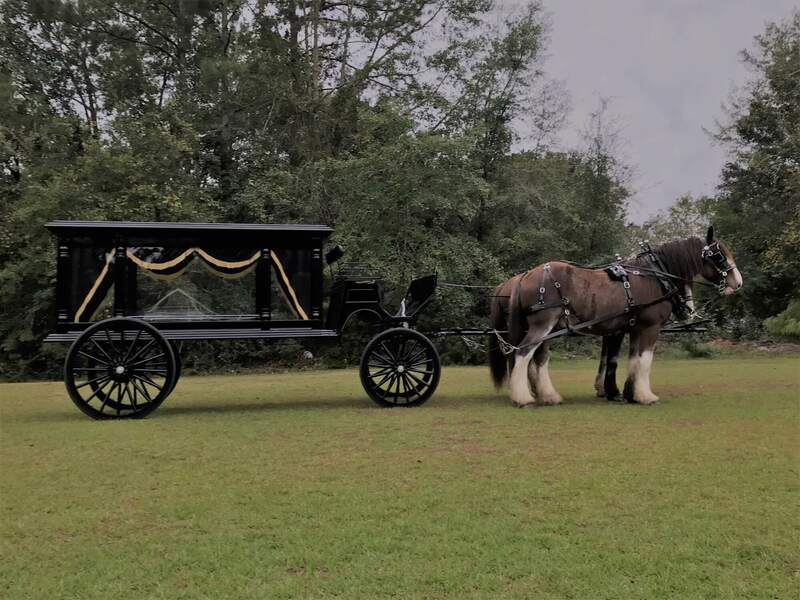 They will be featured in parades throughout the areas served by our funeral chapels, and are available not only for funerals, but also weddings and other celebrations. Pictured here is our Custom Built Horse Drawn Hearse. 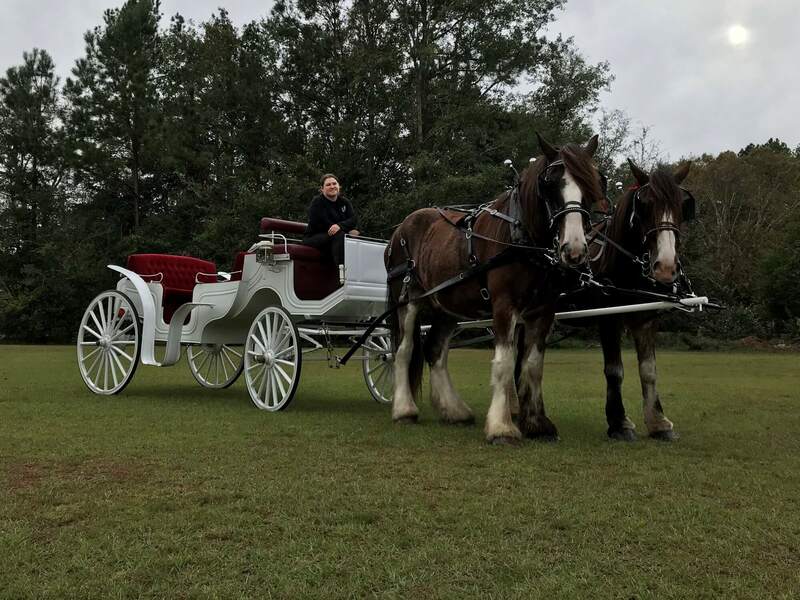 The carriage was commissioned by our CEO Donald A. Herndon to be custom built by Les Voitures Robert Carriages, Inc of Quebec, Canada through The Carolina Carriage Superstore in Greer, South Carolina. 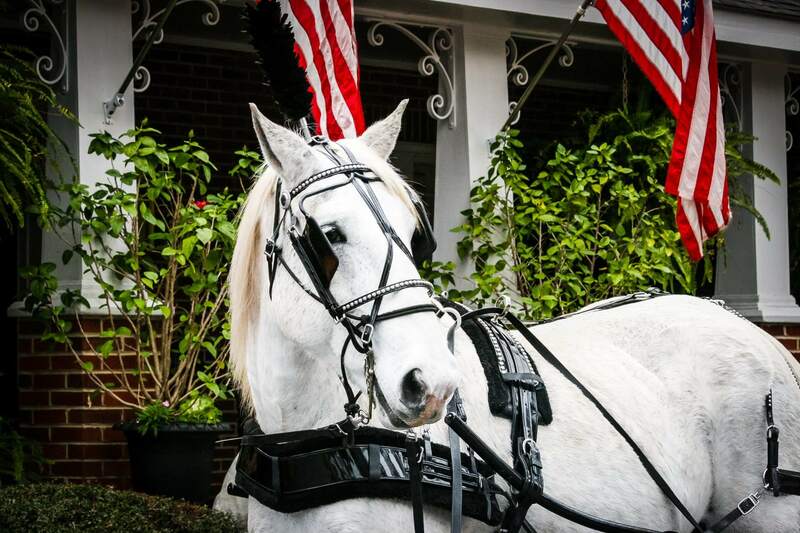 Pictured here pulled by our team of Clydesdales is our white Classic Vis-a-vis which is French for face-to-face. Perfect for any occasions and just right for one or four riders. Also comes with a beautiful top to prove shade on sunny days or if rain should come during your excursion.